What Is A “High Needs Baby”? I first learned about the term after joining a support group for fussy babies online. In those early days with Hennie we began to suspect that our parent friends were having a completely different experience than we were having, and one night, in an effort to feel less isolated, I sought out other parents on social media whose newborns acted like ours did. Being a parent is hard and we expected it to be a challenge, but our friends could put their babies down sometimes, could anticipate their babies’ needs with some predictability, could enjoy their babies’ without being screamed at constantly. 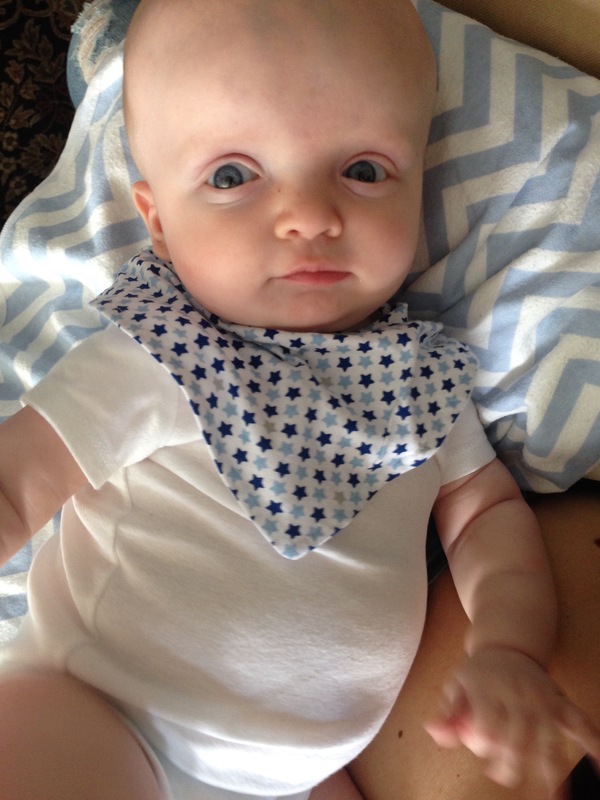 Once Hennie’s reflux problems had been resolved and colic had finally passed (around four months) we found her slightly easier to manage, but it was clear that she was still a loud, clingy, sensitive, draining baby. This is not to discredit any other parent who is having a tough time because all kids are a little high needs and may reflect a few of the 12 characteristics Dr. Sears identified above, but we could see that Hennie possessed most if not all of the features listed, and children who reflect that many traits are, as we quickly learned, especially challenging. Hennie needs to be held constantly but isn’t quick to cuddle. She is an intense baby with an angry, loud cry. She is extremely sensitive to her environment and does not easily accept a caregiver who is not mum or dad. She is often hypertonic – if she is awake, her little muscles are usually clenched. We weren’t able to put her down for months and we have found that she is at her happiest when she is being held by one of her parents while looking at the other. She cannot self soothe and relies on a multi-faceted strategy to get to sleep, then often won’t transition out of our arms once asleep anyway. At family events she isn’t the baby that is easily passed around for everyone to hold and cuddle; we feel like we’re “hogging” her, but she needs time to warm to new people and situations and easily becomes overstimulated by so many faces. While these high-needs aspects of Hennie’s little personality are certainly challenging and draining to us now, we are so excited to see how they become real advantages for her later. And please know that the purpose of writing this isn’t to elicit pity, but understanding. On a good day, I know that we are an ideal match for this little girl – we are flexible, energetic, and open-minded parents, and Tom, at least, has seemingly endless patience. But I am an anxious mama too, and I often feel guilty when friends and family don’t understand why Hennie doesn’t want to be held by them, why she won’t sit still or cuddle them, or why they’ve offered to babysit multiple times and we haven’t taken them up on the offer. When we bring her somewhere new people often comment that she is “playing strange,” but just as adults come with varying degrees of social comfort zones, so too do babies. As my friend Katherine noticed very quickly when Hennie was only a month old, our daughter “really likes her personal space.” That said, we have seen some great (but slow) progress lately and are hopeful that any future Procter babies are a bit more low maintenance 🙂 I hope that learning a bit more about high needs babies helps you – our family and friends – understand a bit more about Hennie and a lot more about how Tom and I are managing during this crazy first year of parenthood! And if you made it this far, thanks for reading! I know I said this about four months, but five months is such a fun age! As the last post mentioned, Hennie seems like a “normal” baby now and we are so relieved (and, as always, still learning)! She has so many smiles and cuddles for her mom and dad these days, doesn’t scream when (most) people hold her, and is now both a frustration and a joy. Unfortunately, around the time when colic ends most babies start hitting some other issues, so we’ve transitioned from the hurricane of colic to the nap strikes, bedtime issues, and general irritability of teething and sleep regressions. The difference now is that there is a reason we can pinpoint for her cranky moments, in the form of two sharp little teeth just under the surface! Poor Hen. Her development is right on track too; she is grabbing, drooling, rolling, reaching, chewing, wiggling, sitting up and standing (with our help) and loving every minute of it. She can have a piercing or a sweet voice depending on what she wants at the time. We are letting her explore some purees once in a while to get used to the textures and smells of new foods, but not a lot is ending up in her mouth, as expected for this age. Things We Want to Remember About Hennie at this Age: how she kicks her feet with excitement when she sees us, how she sleeps with one rogue arm up in the air like a firehose, how soft her big chunky thighs and arms are, how she always keeps one hand on us at all times if she can, that she likes to be held by us the most, her screeches as she’s finding her voice, how light her blue eyes are getting, the tuft of white blonde hair on the top of her head, the way she acts like (as Tom says) “a baby goblin we found in the woods that we have to teach to act human”. Things That Are Changing: Hen is not taking to tummy time or to her bouncy chair as enthusiastically as she once was, resulting in us having to hold her a lot more – no small feat for a baby this strong and wiggly! She has also grown out of being swaddled, a big change for us and for her sleep-time routine, but we are finding new ways to make it work. She has started to let us sit when we go out to pubs and cafes now, and that’s a nice change ’cause for the first four months we had to bounce her constantly when we dared to go out. She has started to stay in her Bumbo chair and high chair for longer periods of time so it looks like she’s just preferring the upright position in general!